Small Round Occasion Cakes are approximately 5" inches in diameter with a 3" - 4" writing space. For special messages or questions about writing space, please call the bakery directly. Available in Carob or Peanut Butter. 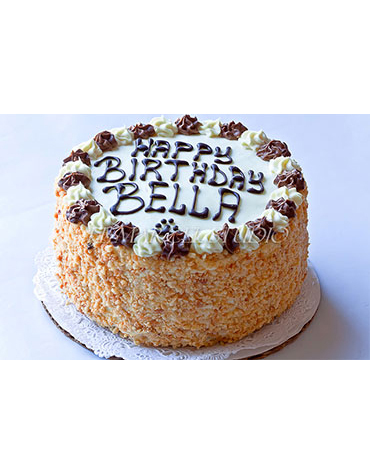 Small Round Occasion Cakes are approximately 5″ inches in diameter with a 3″ – 4″ writing space. For special messages or questions about writing space, please call the bakery directly. Available in Carob or Peanut Butter. PLEASE LIST YOUR PREFERRED DATE OF RECEIPT (PICK UP): Please select Date.